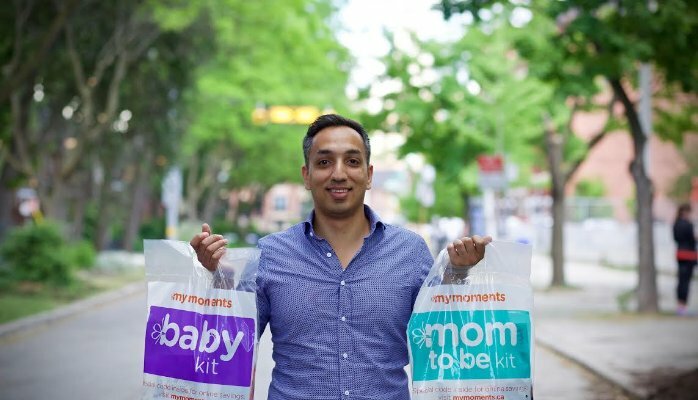 Toronto-based Hospital Connection, which supports new parents by donating kits containing newborn essentials to hospitals and clinics, has been acquired by Parent Life Network, an agency that helps large brands reach a parent audience through campaigns. Hospital Connection, a DMZ alumni and current BioMedical Zone (BMZ) tenant, distributes over two million baby products and offers annually to a network of over 320 hospitals and prenatal clinics. The company provides mom-to-be kits to midwife clinics and baby kits for hospitals, and was inspired by Finland, where every new family receives a free box of baby products as a means of support. It’s an idea that’s slowly gaining traction in Canada, as Babybox, a company with a similar model, recently arrived in Ontario. “Together with the Parent Life Network, we are able to continue our shared vision to support even more Canadian moms, moms-to-be, and families of all shapes and sizes than either of us could alone,” said Paul Kalra, founder of Hospital Connection. Kalra has had experience in the past in the packaged goods industry, notably with Proctor & Gamble. Parent Life Network partners with brands like Ford, Canadian Scholarship Trust Plan, OshKosh, and CellLife. “Bringing the businesses together helps us reach hundreds of thousands of new and expecting families in Canada to change their lives for the better. Together, we’ll help our partners reach and engage with over one million Canadian families annually,” said T.J. Donnelly, CEO of Parent Life Network.